Kullman, L. 2018. A recent and distinct pine (Pinus sylvestris L.) reproduction upsurge at the treeline in the Swedish Scandes. International Journal of Research in Geography 4(4), 39-52. Kullman, L. 2018. A review and analysis of factual change on the max rise of the Swedish Scandes treeline, in relation to climate change over the past 100 years. Journal of Ecology & Natural Resources. DOI: 10.23880/jenr-16000150. Kullman, L. 2018. Larix - an overlooked taxon in boreal vegetation history of northern Scandinavia. A review with perspective on incongruencies between megafossil and pollen records. Geo-Öko 39, 90-110. Kullman, L. & Öberg, L. 2018. A one hundred - year study of the upper limit of tree growth (Terminus arboreus) in the Swedish Scandes - Updated and illustrated change in an historical perspective. International Journal of Research in Geography 4(3),10-35. Kullman, L. 2018. Recent treeline shift in the Kebnekaise Mountains, northern Sweden - a climate change case. International Journal of Current Research 10(1), 63786-63972. Kullman, L. 2017. Further details on Holocene treeline, glacier/ice patch and climate history in Swedish Lapland. International Journal of Research in Geography 3(4), 32-40. Kullman, L. 2017. Pine (Pinus sylvestris) treeline performance in the southern Swedish Scandes since the early-20th century - a dynamic phytogeographical perspective based on repeat survey and photography. Acta Phytogeographica Suecica 90, 1-46. Kullman, L. 2017. Melting glaciers in the Swedish Scandes provide new insights into palaeotreeline performance. International Journal of Current Multidisciplinary Studies 3 (3), 607-618. Kullman, L. 2016. Pine (Pinus sylvestris) penetration towards the head of the Handölan Valley - recent reversal of long-term retrogressional trend - contrasting responses of tree- and forest line. International Journal of Environmental & Agriculture Research 2( (5), 163-172. Kullman, L. 2016. Climate change and primary birch forest (Betula pubescens ssp. czerepanovii) succession in the treeline ecotone of the Swedish Scandes. International Journal of Research in Geography 2 (2), 36-47. Kullman, L. 2016. Fjällen klimatet och människan - naturhistoria i skarven mellan två istider. Svensk Botanisk Tidskrift 110, 132-272. Kullman, L. & Öberg, L. 2016. Historical performance of an outlying subarctic spruce (Picea abies) population in northern Swedish Lapland. International Journal of Information Research and Review 3 (2), 1863-1872. Kullman, L. 2015. Recent and past trees and climates at the arctic/alpine margin in Swedish Lapland - an Abisko case study review. Journal of Biodiversity Management & Forestry 2015, 4:4. doi.org/10.4172/2327-4417.1000150. Kullman, L. 2015. Norway spruce (Picea abies (L.) Karst.) treeline ecotone performnce since the mid-1970s in the Swedish Scandes - evidence of stability and minor change from repeat surveys and photography. Geo-Öko 36, 23-53. Kullman, L. 2015. Higher-than-present Medieval pine (Pinus sylvestris L.) treeline along the Swedish Scandes. Landscape Online 42, 1-14. Kullman, L. 2015. Trädgräns i fjällen. Sammanställning och utvärdering av en metodstudie för klimatrelaterad miljöövervakning. Länsstyrelsen Jämtlands län. Rapport Diarienummer 502-1091-2015. 156 pp. Kullman, L & Öberg, L.. 2015. New aspects of high-mountain palaeobiogeography - a synthesis of data from forefields of receding glaciers and ice patches in the Tärna and Kebnekaise Mountains, Swedish Lapland. Arctic 68, 141-152..
Kullman, L. 2014. Recent cooling and dynamic responses of alpine summit floras in the southern Swedish Scandes. Nordic Journal of Botany 32, 369-376. Kullman, L. 2014. Treeline (Pinus sylvestris) landscape evolution in the Swedish Scandes - A forty-year demographic effort viewed in a broader temporal scale. Norwegian Journal of Geography 68, 155-167. Kullman, L. 2014. Trädgränsens förändring 1974 till 2013. Fotoserie från fjället Östra Barfredhågna i norra Dalarna. Länsstyrelsen Dalarnas län, Rapport 2014:09. 67 pp. Kullman, L. 2013. Ecological tree line history and palaeoclimate - review of megafossil evidence from the Swedish Scandes. Boreas 42, 555-567. Kullman, L. & Öberg, L. 2013. Melting glaciers and ice patches in Swedish Lapland provide new insights into the Holocene arboreal history. Geo-Öko 33, 121-146. Öberg, L. & Kullman, L. 2012. Contrasting short-term performance of mountain birch (Betula pubescens ssp. czerepanovii) treeline along altitudinal continentality-maritimity gradient in the southern Swedish Scandes. Fennia 190, 19-40. Kullman, L. 2012. The alpine treeline ecotone in the southernmost Swedish Scandes - dynamism on different scales. In: Ecotones between forest and grassland. Ed. by R. Myster. Springer, New York, 271-298. Öberg, L. & Kullman, L. 2011. Recent glacier recession - a new source of postglacial treeline and climate history in the Swedish Scandes. Landscape Online 26, 1-38. Öberg, L. & Kullman, L. 2011. Ancient subalpine clonal spruces (Picea abies): sources of postglacial vegetation history in the Swedish Scandes. Arctic 64, 183-196. Kullman, L. 2010. Alpine flora dynamics - a critical review of responses to climate change in the Swedish Scandes since the early 1950s. Nordic Journal of Botany 28, 398-408. Kullman, L. 2010. A richer, greener and smaller alpine world - review and projection of warming-induced plant cover change in the Swedish Scandes. Ambio 39, 159-169. Kullman, L. 2010. One century of treeline change and stability - experiences from the Swedish Scandes. Landscape Online 17, 1-31. Kullman, L. 2009. Recent change of alpine vegetation and plant species richness in the Swedish Scandes. Mountain Forum Bulletin 9(2), 20-21. Kullman, L. & Öberg, L. 2009. Post–Little Ice Age treeline rise and climate warming in the Swedish Scandes – a landscape ecological perspective. Journal of Ecology 97, 415-429. Kullman, L. 2009. High species turnover and decreasing species richness on mountain summits in Sweden. Comment. Arctic, Antarctic, and Alpine Research 41, 151. Kullman, L. 2008. Early postglacial appearance of tree species in northern Scandinavia: review and perspective. Quaternary Science Reviews 27, 2467-2472. Kullman, L. 2008. Thermophilic tree species re-invade subalpine Sweden – early responses to anomalous Late-Holocene climate warming. Arctic, Antarctic, and Alpine Research 40, 104-110. Kullman, L. 2007. Tree line population monitoring of Pinus sylvestris in the Swedish Scandes, 1973-2005: implications for tree line theory and climate change ecology. Journal of Ecology 95, 41-52. Kullman, L. 2007. Long-term geobotanical observations of climate change impacts in the Scandes of West-Central Sweden. Nordic Journal of Botany. 24, 445-467. Kullman, L. 2007. Modern climate change and shifting ecological states of the subalpine/alpine landscape in the Swedish Scandes. Geo-Öko 28, 187-221. .
Kullman, L. 2006. Transformation of alpine and subalpine vegetation in a potentially warmer future, the Anthropocene era. Tentative projections based on long-term observations and paleovegetation records. Current Trends in Ecology 1, 1-16. Kullman, L. & Kjällgren, L. 2006. Holocene pine tree-line evolution in the Swedish Scandes: Recent tree-line rise and climate change in a long-term perspective. Boreas 35, 159-168. Kullman, L. 2006. Late-glacial trees from arctic coast to alpine tundra. Journal of Biogeography 33, 376. Kullman, L. 2006. Increase in plant species richness on alpine summits in the Swedish Scandes – impacts of recent climate change. In: “Global Change in Mountain Regions”, ed. by M.F. Price. Sapiens Publishing, Duncow, pp. 168-169. Kullman, L. 2005. Mountain Taiga of Sweden. In: “The Physical Geography of Fennoscandia”, ed. by M. Seppälä. Oxford University Press, Oxford, pp. 297-324. Kullman, L. 2005. Pine (Pinus sylvestris L.) treeline dynamics during the past millennium – a population study in west-central Sweden. Annales Botanici Fennici 42, 95-106. Kullman, L. 2005. Wind-conditioned 20th century decline of birch treeline vegetation in the Swedish Scandes. Arctic 58, 286-294. Kullman, L. 2005. Trädgränsen i Dalafjällen. Del 2. Tandövala - försvinnande sydlig fjällvärld. Länsstyrelsen i Dalarnas län. Miljövårdsenheten Rapport 2005:10, 1-48. Kullman, L. 2004. The changing face of the alpine world. Global Change Newsletter 57, 12-14. Kullman, L. 2004. Early Holocene appearance of mountain birch (Betula pubescens ssp. tortuosa) at unprecedented high elevations in the Swedish Scandes. Megafossil evidence exposed by recent snow and ice recession. Arctic, Antarctic, and Alpine Research 36,172-180. Kullman, L. 2004. A face of global warming – “Ice birches” and a changing alpine plant cover. Geo-Öko 25, 181-202. Kullman, L. 2004. Tree-limit landscape evolution at the southern fringe of the Swedish Scandes (Dalarna province) – Holocene and 20th century perspectives. Fennia 82, 73-94. Kullman, L. 2003. Changes in alpine plant cover. Svensk Botanisk Tidskrift 97, 210-221. Kullman, L. 2003. Recent reversal of Neoglacial climate cooling trend in the Swedish Scandes as evidenced by mountain birch tree-limit rise. Global and Planetary Change 36,77-88. Kullman, L. 2002. Boreal tree taxa in the central Scandes during the Late-Glacial: implications for Late-Quaternary forest history. Journal of Biogeography 29, 1117-1124. Kullman, L. 2002. Rapid recent range-margin rise of tree and shrub species in the Swedish Scandes. Journal of Ecology 90, 68-77. Kullman, L. 2002. Alpine tree-limits responding to 20th century warming trend in the Swedish Scandes. World Resource Review 13, 473-491. Kullman, L. 2001. Immigration of Picea abies into North-Central Sweden. New evidence of regional expansion and tree-limit evolution. Nordic Journal of Botany 21, 39-54. Kullman, L. 2001. A new approach to postglacial forest history of northern Scandinavia. Review of megafossil and macrofossil evidence. Recent Research Developments in Ecology 1, 1-19. Kullman, L. 2001. 20th century climate warming trend and tree-limit rise in the southern Scandes of Sweden. Ambio 30, 72-80. Kullman, L. 2001. Alpine tree-limits responding to 20th century warming trend in the Swedish Scandes. World Resource Review 13, 473-491. Kullman, L. 2000. The geoecological history of Picea abies in northern Sweden and adjacent parts of Norway. GEOÖKO 21, 141-172. Kullman, L. 2000. Tree-limit rise and recent warming: a geoecological case study from the Swedish Scandes. Norwegian Journal of Geography 54, 49-59. Kullman, L. & Kjällgren, L. 2000. A coherent postglacial tree-limit chronology (Pinus sylvestris L.) for the Swedish Scandes. Aspects of paleoclimate and “recent warming”, based on megafossil evidence. Arctic, Antarctic, and Alpine Research 32, 419-428. Kullman, L. 2000. Early Holocene tree-limits in Swedish Lapland. Geografiska Annaler 82A, 137-138. Kullman, L. 1999. Early Holocene tree-growth at a high-elevation site in the northernmost Scandes of Sweden (Lapland). A palaeobiogeographical case study based on megafossil evidence. Geografiska Annaler 81A, 63-74. Kullman, L. 1998. Tree-limits and montane forests in the Swedish Scandes: sensitive biomonitors of climatic change and variability. Ambio 27, 312-321. Kjällgren, L. & Kullman, L. 1998. Spatial patterns and structure of the mountain birch tree-limit in the southern Swedish Scandes – a regional perspective. Geografiska Annaler 80A 11-16. Kullman, L. 1998. Non-analogous tree flora in the Scandes Mountains, Sweden, during theearly Holocene – macrofossil evidence of rapid geographic spread and response to palaeoclimate. Boreas 27, 153-161. Kullman, L. 1998. The occurrence of thermophilous trees in the Scandes Mountains during the early Holocene: evidence for a diverse tree flora from macroscopic remains. Journal of Ecology 89, 421-428. Kullman, L. 1998. Palaeoecological, biogeographical and palaeoclimatological implicationsof early Holocene immigration of Larix sibirica into the Scandes Mountains, Sweden. Global Ecology and Biogeography Letters 7, 181-188. Kullman, L. & Engelmark, O. 1997. Neoglacial climate control of subarctic Picea abies stand dynamics and range limit in northern Sweden. Arctic and Alpine Research 29, 315-326. Kullman, L. 1997. Tree-limit stress and disturbance. A 25 year survey of geoecologicalchange in the Scandes Mountains of Sweden. Geografiska Annaler 79A, 139-165. Kullman, L. 1996. Rise and demise of cold-climate Picea abies forest in Sweden. New Phytologist 134, 243-256. Kullman, L. 1996. Structural population dynamics of pine (Pinus sylvestris L.) during the past 500 years close to the tree-limit in northern Sweden. Palaeoclimate Research 20, 75-82. Kullman, L., 1996. Norway spruce present in the Scandes Mountains, Sweden at 8000 BP: new light on Holocene tree spread. Global Ecology and Biogeography 5, 94-101. Kullman, L. 1996. Recent cooling of Norway spruce (Picea abies (L.) Karst.) in the forest-alpine tundra ecotone of the Swedish Scandes. Journal of Biogeography 23, 843–854. Kullman, L. 1995. New and firm evidence for Mid-Holocene appearance of Picea abies in the Scandes Mountains, Sweden. Journal of Ecology 83, 439–447. Kullman, L. 1995. Holocene tree-limit and climate history from the Scandes mountains, Sweden. Ecology 76, 2490–2502. Kullman, L. 1994. Palaeoecology of pine (Pinus sylvestris) in the Swedish Scandes and a review of the analysis of subfossil wood. Geografiska Annaler 75A, 247–259. Kullman, L. 1994. The Holocene history of a subalpine birch forest enclave: subfossil evidence from Central Sweden. Géographie physique et Quaternaire 48, 151-156. Engelmark, O., Kullman, L. & Bergeron, Y. 1994. Fire and age structure of Scots pine and Norway spruce in northern Sweden during the past 700 years. New Phytologist 126, 163-168. Kullman, L. 1994. Climate and environmental change at high northern latitudes. Progress in Physical Geography 18, 124–135. Kullman, L. 1994. Climate and environmental change at high northern altitudes. Progress in Physical Geography 18, 124-135. Kullman, L., 1993. Tree limit dynamics of Betula pubescens ssp. tortuosa in relation to climate variability: evidence from central Sweden. Journal of Vegetation Science 4, 765–772. Kullman, L. 1993. Dynamism of the altitudinal margin of the boreal forest in Sweden. Paleoclimate Research 9, 41-55. Kullman, L. 1993. Pine (Pinus sylvestris L.) tree-limit surveillance during recent decades, Central Sweden. Arctic and Alpine Research 25, 24–31. Kullman, L. 1993. Holocene thermal trend inferred from tree-limit history in the Scandes Mountains. Global Ecology and Biogeography Letters 2, 181–188. Kullman, L. 1992. High latitude environments and environmental change. Progress in Physical Geography 16, 478–488. Kullman, L. 1992. Climatically induced regeneration patterns of marginal populations of Pinus sylvestris in northern Sweden. Oecologia Montana 1, 5–10. Kullman, L. 1992. The ecological status of grey alder (Alnus incana (L.) Moench) in the upper subalpine birch forest of the central Scandes. New Phytologist 120, 445–451. Kullman, L., 1992. Orbital forcing and tree-limit history: hypothesis and preliminary interpretation of evidence from Swedish Lappland. The Holocene 2, 131–137. Kullman, L. 1991. Ground frost restriction of subarctic Picea abies forest in northern Sweden. A dendroecological analysis. Geografiska Annaler 73A, 167–168. Kullman, L. 1991. Pattern and process of present tree-limits in the Tärna region, southern Swedish Lapland. Fennia 169, 25–38. Kullman, L. 1991. Cataclysmic response to recent cooling of a natural boreal pine (Pinus sylvestris L.) forest in northern Sweden. New Phytologist 117, 351–360. Kullman, L, 1991. Structural change in a subalpine birch woodland in Northern Sweden during the past century. Journal of Biogeography 18: 53–62. Kullman, L. & Engelmark, O.1991. Historical biogeography of Picea abies forest in northern Sweden. Journal of Biogeography 18, 63-70. Hofgard, A., Kullman, L. & Alexandersson, H. 1991. Response of old-growth montane Picea abies (L.) Karst.) forest to climatic variability in northern sweden. New Phytologist 119, 585-594. Kullman, L. 1990. Dynamics of altitudinal tree-limits in Sweden: a review. Norsk Geografisk Tidsskrift 44, 103–116. Kullman, L. & Engelmark, O. 1990. A high Late Holocene tree-limit and the establishment of the spruce forest-limit - a case study in northern Sweden. Boreas 19, 323-331. Kullman, L. 1989. Cold-induced dieback of montane spruce forest in the Swedish Scandes – a modern analogue of palaeoenvironmental processes. New Phytologist 113, 377–389. Kullman, L. 1989. Recent retrogression of the forest-alpine tundra ecotone (Betula pubescens Ehrh. ssp. tortuosa (Ledeb.) Nyman) in the Scandes Mountains, Sweden. Journal of Biogeography 16, 83-90. Kullman, L. 1989. Geoecological aspects of episodic permafrost expansion in north Sweden. Geografiska Annaler 71A, 255–262. Kullman, L. & Högberg, N. 1989. Rapid natural decline of upper montane forests in the Swedish Scandes. Arctic 42, 217-226. Kullman, L., 1989. Tree-limit history during the Holocene in the Scandes Mountains, Sweden, inferred from subfossil wood. Review of Palaeobotany and Palynology 58, 163–171. Kullman, L. 1989. Renbeteseffekter på Sånfjället. – Naturvårdsverket Rapport 3574, 1-23. Kullman, L. 1988. Subalpine Picea abies decline in the Swedish Scandes. Mountain Research and Development 8, 33–42. Kullman, L. 1989. Trädgränsdynamik i olika tidsskalor - en översikt. Universitetet i Trondheim, Vitenskapsmuseet. Rapport Botanisk Serie 1989-2, 5-12. Kullman, L., 1988. Holocene history of the forest-alpine tundra ecotone in the Swedish Mountains (central Sweden). New Phytologist 108, 101–110. Kullman, L. 1988. Short-term approach to tree-limit and thermal climate. Evidence from Pinus sylvestris in the Swedish Scandes. Annales Botanici Fennici 25, 219-227. Kullman, L. 1987. Little Ice Age decline of a cold marginal Pinus sylvestris forest in the Swedish Scandes. New Phytologist 106, 567–584. Kullman, L., 1987. Tree-vigour monitoring by repeat photography in the forest alpine tundra ecotone. Ambio 16, 160–62. Kullman, L. 1987. Sequences of Holocne forest history in the Scandes, inferred from megafossil Pinus sylvestris. Boreas 16, 21-26. Kullman, L. 1987. Long-term dynamics of high-altitude populations of Pinus sylvestris in the Swedish Scandes. Journal of Biogeography 14, 1-8. Kullman, L., 1987. A decade of tree-line monitoring in the southern Swedish Scandes. UNGI-rapport 65, 191-202. Kullman, L. 1986. Recent tree-limit history of Picea abies in the southern Swedish Scandes. Canadian Journal of Forest Research 16, 761-771. Kullman, L. 1986. Demography of Betula pubescens ssp. tortuosa sown in contrasting habitats close to the birch tree-limit in Central Sweden. Vegetatio 65, 13–20. Kullman, L. 1986. Temporal and spatial aspects of subalpine populations of Sorbus aucuparia in Sweden. Annales Botanici Fennici 23, 267–275. Kullman, L. 1986: Late Holocene reproductional patterns of Pinus sylvestris and Picea abies at the forest limit in central Sweden. Canadian Journal of Botany 64, 1682–1690. Kullman, L. 1986. Dynamiska aspekter på barrträdens förekomst och uppträdande i Røros kommun, Sør-Trøndelag. Blyttia 44, 1-9. Kullman, L. 1984: Germinability of mountain birch (Betula pubescens ssp. tortuosa) along two altitudinal transects downslope from the tree-limit, in Sweden. Reports from the Kevo Subarctic Research Station 19, 11–18. Kullman, L. 1985. Växtbiografi - ett komplement i föryngringsforskningen. Sveriges Skogsvårdsförbunds Tidskrift 80, 3-9. Kullman, L. 1985. Ekologiska ramar för skogsodling i klimatiskt marginella höglägen. Institutionen för Skoglig genetik/växtfysiologi, Sveriges Lantbruksuniversitet Rapport 4, 188-200. Kullman, L. 1984. Transplantation experiments with saplings of Betula pubescens ssp. tortuosa near the tree-limit in Central Sweden. Holarctic Ecology 7, 289–293. Kullman, L. 1983. Past and present tree-lines of different species in the Handölan Valley, Central Sweden. Nordicana 47, 25-45. Kullman, L. 1983. Short-term population trends of isolated tree-limit stands of Pinus sylvestris L. in central Sweden. Arctic and Alpine Research, 15, 369–382. Kullman, L. 1982. Tandövala – a real barren hill or what? Svensk Botanisk Tidskrift 76, 185–196. Kullman, L. 1982: Utbredningen av sjöranunkeln (Ranunculus lingua) i norra Sverige. Svensk Botanisk Tidskrift 76, 213–214. Kullman, L. 1981. Some aspects of the ecology of the Scandinavian subalpine birch forest belt. Wahlenbergia 7, 99–112. Kullman, L. 1981. Recent tree-limit dynamics of Scots pine (Pinus sylvestris L.) in the southern Swedish Scandes. Wahlenbergia 8, 1-67. Kullman, L. 1980. Radiocarbon dating of subfossil Scots pine (Pinus sylvestris L.) in the southern Swedish Scandes. Boreas 9, 101–106. Kullman, L. 1979. Change and stability in the altitude of the birch tree-limit in the Southern Swedish Scandes 1915–1975. Acta Phytogeographica Suecica 65,1–121. Kullman, L. 1975. Fjällområdena kan inte alltid betraktas som genuin vildmark. Samefolket 1975 (1), 4-7. Kullman, L. 1976. Recent trädgränsdynamik i V. Härjedalen. Svensk Botanisk Tidskrift 70,107-137. Kullman, L. 1971. Notiser om kärlväxternas höjdgränser i V Härjedalen och SV Lule Lappmark. Svensk Botanisk Tidskrift 65, 308–316. POPULÄRVETENSKAPLIGA PUBLIKATIONER, BÖCKER, RAPPORTER, TIDNINGSARTIKLAR, MM. Kullman, L. & Öberg, L. 2019. Fjällens granar tidiga invandrare och enastående överlevare. BoD, Stockholm. Kullman, L. & Öberg, L. 2018. Fjällens tallar 10 000 års klimathistoria. BoD, Stockholm. Kullman, L. 2016. Tankar om naturvård i fjällen. Fauna & Flora 111(2), 44-45. Kullman, L. 2016.. Fjällen klimatet och mäniskan. Naturhistoria i skarven mellan två istider. Svensk Botanisk Tidskrift 110, 120-272. Kullman, L. 2013. Exoter berikar mångfalden i fjälltaigan. Lustgården 2013, 55-62. Öberg, L. & Kullman, L. 2013. Ancient alpine spruces - life and history. Jengel Förlag AB, Östersund. Öberg, L. & Kullman, L. 2013. Fjällens urgamla granar - en faktabok. Jengel Förlag AB, Östersund. Kullman, L. 2012. Avancerar eken, Quercus robur, och Limes norrlandicus allt längre norrut. Lustgården 2012, 69-74. Kullman, L. & Öberg, L. 2012. Smältande glaciärer och urgamla granar - nya källor till kunskap om fjällens vegetationshistoria. Markkontakt, nr 1, 2012, 1-11. Kullman, L. 2011. Krummholz-tall på Täljstensvalen - gamla träd ger nya perspektiv. Lustgården 91, 75-84. Kullman, L. 2010. Fjällens nya ansikte - rikare, grönare, vackrare. Lustgården 90, 13-24. Kullman, L. 2010. Från kalfjäll till vitsippslund – perspektiv på fjällnaturens förändring under ett ovanligt varmt århundrade. Formas Fokuserar, Stockholm, sid. 153-164..
Kullman, L. 2009. Fjällens ”evighetsgranar” – svensk naturhistoria i nytt ljus. Svensk Botanisk Tidskrift 103, 141-148. Kullman, L. 2009. Gamla fjällgranar reviderar Nordens naturhistoria. Finlands Natur 68, 24-26. Kullman, L. 2009. Kampen mellan skog och fjäll. I: I Hjärtat av Härjedalen. Sonfjället. Red. Lisa Öberg. Jamtli Förlag, Östersund, 38-40. Kullman, L. 2009. Sonfjällets träd. I: I Hjärtat av Härjedalen. Sonfjället. Red. Lisa Öberg. Jamtli Förlag, Östersund, 41-45. Kullman, L. & Öberg, L. 2007. Fjällvärld i förvandling – klimatförändringens effekter på fjällens växtliv. Jämten 100, 83-91. Kullman, L. 2006. Botaniska signaler om en ny och varmare fjällvärld. Fauna & Flora 101, 10-21. Kullman, L. 2006. Fjällbjörkskogens historia. I: Naturvärden i fjällbjörkskog. Centrum för Biologisk Mångfald, Uppsala, 17-19. 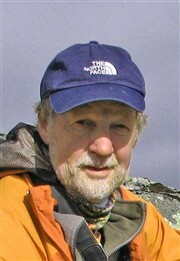 Kullman, L. 2005. Gamla och nya träd på Fulufjället – vegetationshistoria på hög nivå. Svensk Botanisk Tidskrift 99, 315-329. Kullman, L. 2004. Från skog till fjäll och åter. Fjället (Svenska Fjällklubben) 49 (2), 2-6. Kullman, L. 2003. Förändringar i fjällens växtvärld - effekter av ett varmare klimat. Svensk Botanisk Tidskrift 97, 210-221. Kullman, L. 2001. Granens invandring i Sverige. En gammal historia i nytt ljus. Fauna & Flora 96, 117-128. Kullman, L. 2000. Trädgränsen - en klimatindikator. Varmare klimat ger stigande trädgränser i svenska fjällen. Fauna & Flora 95, 113-129. Kullman, L. 1998. Aktuella vegetationsförändringar i södra delen av fjällkedjan. I: Hållbar utveckling och biologisk mångfald i fjällregionen. Rapport från 1997 års fjällforskningskonferens. Forskningsrådsnämnden, Stockholm, 160-169. Kullman, L. 1997. Nya blad i svensk skogshistoria. Skogshistorisk Tidskrift 1997(7), 3-5. Kullman, L. 1997. Mot en ny norrländsk skogshistoria. Markkontakt 1997(2/3), 5-8. Kullman, L. 1995. Fjällbjörkens land - frodiga gränsmarker. I: Svenskt Naturlexikon. Anfang Förlag, Stockholm, 106-107. Kullman, L. 1995. Lilla Istiden. I: Norrländsk Uppslagsbok. Norrlands Universitetsförlag, Umeå, 40. Kullman, L. 1995. Lavmarker, rishedar, videsnår och snölegor. I: Svenskt Naturlexikon, Anfang Förlag, Stockholm, 108-109. Kullman, L. 1993. Framtidens skog och den globala klimatutvecklingen I: Nordisk konferanse om baerekraftig forvaltning av skog. Universitetet i Trondheim. Senter for Miljø og Utvikling, Meddelelse 1993(5), 57-60. Kullman, L. 1991. Fjällbjörkskogen - natur- och kulturmiljö. Biologen 58, 11-17. Kullman, L. 1991. Tärnaskogen - nutid, forntid och framtid. Center for Arctic Cultural Research 13, 75-86. Kullman, L. 1990. Recent natural decline of Swedish montane forests - a review. In: Effects of air pollutants and acidification in combination with climatic factors on forests, soils, and waters in northern Fennoscandia. Nordic Council of Ministers Nord 1990, 146-156. Kullman, L. 1990. Regering och riksdag manipulerade. Västerbottens-Kuriren 28 april 1990. Kullman, L. 1989. Cold marginal forest decline in northern Sweden - connection with delayed seasonal thawing and new permafrost. Meddelelser fra Geografisk Institutt Universitetet i Oslo. Naturgeografisk Serie Rapport 12, 34-38. 87-88. Kullman, L. 1988. Kalla fakta talar för kyligare klimat. Västerbottens-Kuriren 24 mars 1988. Kullman, L. 1988. Permafrost och tjäle - allt viktigare faktorer i det nordliga landskapets ekologi. Markkontakt 1988(1), 7-10. Kullman, L. & Hofgaard, A. 1987. Klimatisk hasardgräns i fjällnära skogar. Sveriges Lantbruksuniversitet, Umeå. Kullman, L. 1987. Fjällskogsbruk och klimathasard. Svenska Naturskyddsföreningens Årsbok 1987, Sid. 42-50. Kullman, L. 1986. Fjälltaigan - vad är det? Furan 2, 10-12. Kullman, L., 1986. Lilla Istiden – angår den skogsbruket? Skogsfakta, Nr 9. 6 sid. Kullman, L. 1985. Fjällskogen lever på nåder. Västerbottens-Kuriren 5 februari 1985. Kullman, L. 1985. Fjällnära barrskogar tål ingen avverkning. Göteborgs-Posten 26 februari 1985. Kullman, L. 1985. Fjällnära barrskog föryngringsproblem i långt perspektiv. Norrbottenskuriren 19 februari 1985. Kullman, L. 1985. Droppen som fick Sverige att rinna över. Expressen 12 oktober 1985. Kullman, L. 1985. Oansvarig syn på den fjällnära barrskogen. Västerbottens-Kuriren 2 april 1985. Kullman, L. 1985. Skogshistoria och naturvärden i Matskan-området. Institutionen för Skoglig Ståndortslära, Sveriges Lantbruksuniversitet. Stenncil 2, 1-29. Kullman, L. 1984. Ett hasardspel på högsta nivå. Dagens Nyheter, 11 oktober, sid. 5. Kullman, L. 1984. Den fjällnära barrskogen - en växtekologisk översikt. Statens Naturvårdsverk PM 1511, 4-202. Kullman, L. 1984. Okunnigt och nonchalant om fjällbarrskogarna. Västerbottens-Kuriren 24 januari 1984. Kullman, L. 1984. Skogbotaniska notiser från Vuoskonjaure-området i Sv Lule Lappmark. Norrbottens Natur 40, 47-57. Holm, S.O. & Kullman, L. 1983. Mikrotopografi, överlevnad, tillväxt och väderleksskador i höglägesplanteringar av tall i norra Sverige. Sveriges Skogsvårdsförbunds Tidskrift 81, 37-55. Kullman, L. 1983. Avverkning i fjällskogarna är baggböleri. Skogen 1983 (10), 51-52. Kullman, L. 1982. Utbredningen av sjöranunkeln (Ranunculus lingua) i norra Sverige. Svensk Botanisk Tidskrift 76, 213-214. Kullman, L. 1982. Tandövala - fjäll eller va(r)d? Svensk Botanisk Tidskrift 76, 185-196. Kullman, L. 1981. Nya spekter på tallföryngring i höglägen. Sveriges Skogsvårdsförbunds Tidskrift 79, 11-14. Kullman, L. 1980. Trädslagsfördelning i nutid och sen historisk tid i översta Umeälvsdalen. Sveriges Skogsvårdsförbunds Tidskrift 78, 52-75. Kullman, L. 1980. Skoglig beståndsstruktur och beståndshistorik i Fatsjö-området, Västerbottens län. Institutionen för Ekologisk, Umeå Universitet, Umeå. 34 sid. Kullman, L. 1980. Naturskogar inom Blaikfjällsområdet. Länsstyrelsen i Västerbottens län. Meddelande 18, 1-37. Kullman, L. 1980. Stöttingfjällets naturskogar. Länsstyrelsen i Västerbottens län. Meddelande 19, 1-45. Kullman, L. 1980. Långrumpskogen-unik naturskog i Västerbottens kustland. Institutionen för ekologisk botanik, Umeå Universitet. Kullman, L. 1979. Granudden och Blekaskogen - skogliga referensområden i södra Lappland. Fauna & Flora 74, 226-231. Kullman, L. 1979. Fjällen karteras – synpunkter på resultatet. Svensk Botanisk Tidskrift 70, 107–37. Kullman, L. 1977. Kärlväxter i V Härjedalen. Svensk Botanisk Tidskrift 71, 177-184. Kullman, L. 1977. Fäbodväsendet och fjällskogen. I: Nordiskt fäbodväsen. Förhandlingar vid Fäbodseminarium i Älvdalen, Dalarna, 1-3 sept 1976. Nordiska Museet, Stockholm, 113-117. Kullman, L. 1976. Recent trädgränsdynamik i V Härjedalen. Svensk Botanisk Tidskrift 70, 107-137. Kullman, L. 1976. Silvervägen - ett trädgränsekologiskt experiment. Fauna och Flora 71, 208-215. Kullman, L. 1975. Fjällområdena kan inte altid betraktas som genuin vildmark. Samefolket 1975 (1), 4-7. Knutsson, G. & Kullman, L. 1969. Flora, vegetation och höjdgränser inom det som naturreservat föreslagna Hamrafjällsområdet i V Härjedalen. Länsstyrelsen i Jämtlands län, Naturvårdsenheten. Östersund.